Durring winter I have two face modes: a better cover foundation (currently DHC) and a lighter matt cover for weekends and non meeting days. 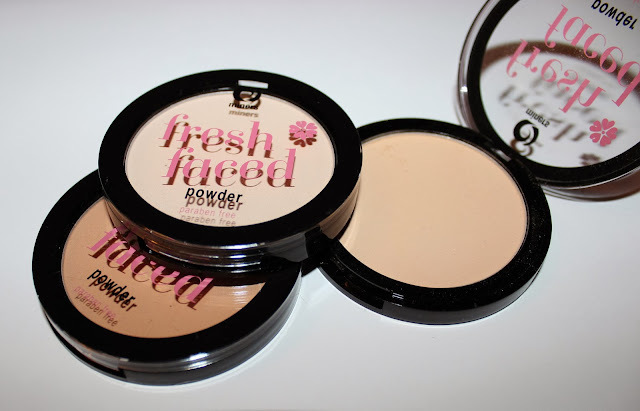 Recently Miners sent me their brand new Fresh Faced powder to try and I cant get enough of it. Completely matt and paraben free it is light weight with no caking. I find it lasts all day and is perfect over a moisturiser to keep winter skin soft and hydrated. The powder comes in three shades: Translucent Ivory, Soft Sand (me), and Honey and is only £3.99. For a light cover I use a bronzing brush but the product would also work well with a make-up sponge for a slightly thicker coat. I shall be carrying mine around constantly for the next few months.